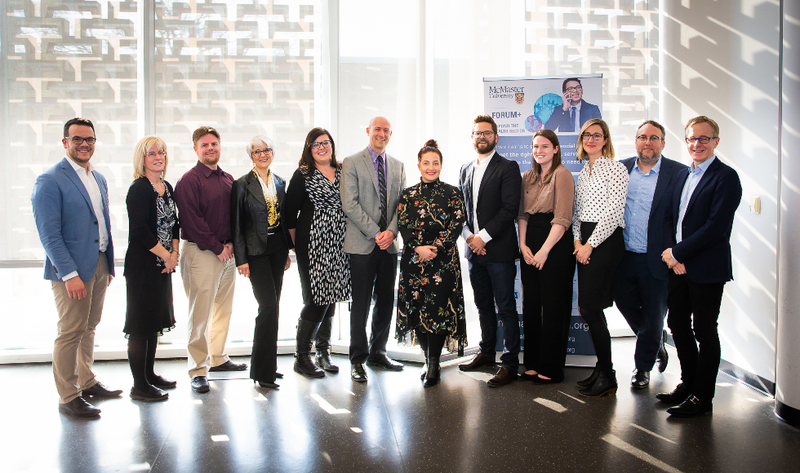 Recently, the Forum led an international group that received a $2 million grant from the Hewlett Foundation and Canada’s International Development Research Centre to better support policymakers in efforts to achieve the Sustainable Development Goals of the United Nations. As a result, the Forum has now established Partners for Evidence-driven Rapid Learning in Social Systems to facilitate evidence-informed policymaking around the SDGs in 14 countries. In another milestone, the World Health Organization (WHO) and its regional office for the Americas, called the Pan-American Health Organization (PAHO), recently renewed the Forum’s designation as the PAHO/WHO Collaborating Centre for Evidence-Informed Policy for a third term of four years. In this role, the Forum supports evidence-informed policymaking at WHO headquarters, regional offices and member states. “Thanks to our incredible partners and supporters, and our staff and students, we’ve helped to make research evidence, citizen values and stakeholder insights a regular part of the policymaking conversation in many parts of Canada and around the world,” said Lavis. The McMaster Health Forum has celebrated its 10th anniversary with new grants, partners and milestones, as well as an expanded focus on social systems. “Over the past 10 years, the McMaster Health Forum has harnessed research evidence, citizen values and stakeholder insights to help strengthen health systems and get the right programs, services and products to the people who need them,” said John Lavis, director of the McMaster Health Forum and Forum+. “We’re now broadening our work supporting evidence-informed policymaking to include social systems and the Sustainable Development Goals (SDGs).” Recently, the Forum led an international group that received a $2 million grant from the Hewlett Foundation and Canada’s International Development Research Centre to better support policymakers in efforts to achieve the Sustainable Development Goals of the United Nations. As a result, the Forum has now established Partners for Evidence-driven Rapid Learning in Social Systems to facilitate evidence-informed policymaking around the SDGs in 14 countries. In another milestone, the World Health Organization (WHO) and its regional office for the Americas, called the Pan-American Health Organization (PAHO), recently renewed the Forum’s designation as the <a href="https://www.mcmasterforum.org/lets-collaborate/our-roles/who-collaborating-centre">PAHO/WHO Collaborating Centre for Evidence-Informed Policy</a> for a third term of four years. In this role, the Forum supports evidence-informed policymaking at WHO headquarters, regional offices and member states. To celebrate the Forum’s 10-year milestone, the Forum has released <a href="https://www.mcmasterforum.org/docs/default-source/resources/10-year-report_web.pdf">a report</a> on its accomplishments in three key areas: <ul> <li>Supporting evidence-informed policy about health and social systems in Canada</li> <li>Founding and enabling partnerships that support evidence-informed policy about health systems internationally</li> <li>Founding and enabling partnerships that support evidence-informed policymaking about the SDGs in Canada and internationally</li> </ul> “Thanks to our incredible partners and supporters, and our staff and students, we’ve helped to make research evidence, citizen values and stakeholder insights a regular part of the policymaking conversation in many parts of Canada and around the world,” said Lavis.